Had a great family, the Zaszewski’s, from Virginia beach , Rich, Ali, Katie, and Isabella with us today. 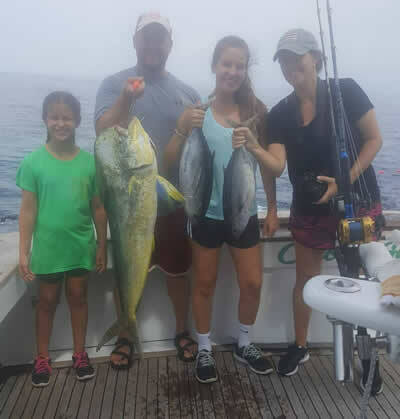 The girls reeled in lots of mahi-mahi ( both bailers and gaffers) and we mixed in some blackfin tuna. Had a shot at a marlin but it didn’t come tight and got some really awesome pictures of an approaching storm. (I’ll share later). Thanks again to a great family and we look forward to fishing with you again.